First Friday TONIGHT June 7th! Lots to do in Annapolis Royal this Friday evening, June 7th. Many stores are open until 9 pm – including ours ! We have six musicians coming to play outside on our front terrace. Other activities on the street will include: bagpipers, photos with the Town Crier at the Lighthouse, games and activities at the playground, a petting zoo at the Farmer’s and Trader’s Market and many demos and entertainers in and out of shops and museums. You can also explore the Town with a self-guided art walk. Maps for that are available at Bainton’s Tannery Outlet. We hope to see you out ! First Fridays will take place every first Friday of the month right up to October. 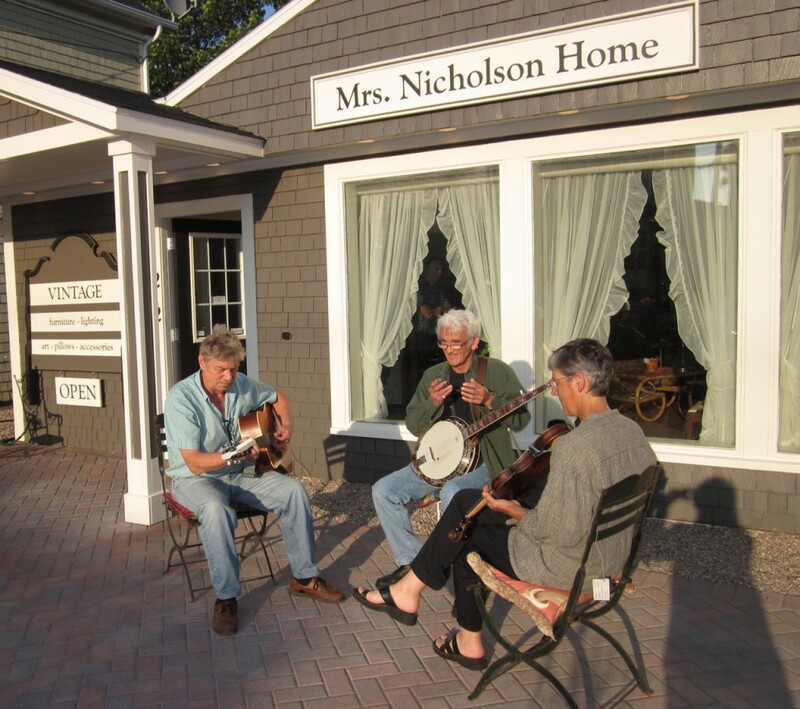 Jim Todd, Geoff Keymer and Alexa Jaffurs playing outside at Mrs. Nicholson Home on a First Friday in 2012. This entry was posted in First Fridays.